The Heaton Group have built a reputation for sympathetic and high-quality renovations, from dilapidated office blocks to Grade Two listed buildings of historic interest, but why? Many developers steer clear of renovations, especially if they are listed because of elevated build cost, increased regulation and challenging features often requiring specialist tradespeople. Despite these challenges, restorations have become the mainstay of our business for the following reasons. With crowded town and city centres, space is at a premium and is there is often not enough for something new, pushing new build developments to the fringes of the centre without good connections or amenities. By selecting an existing building, perhaps a long-vacated office block or once loved hotel, we have our pick of exceptional central locations. A great example of this is The Victoria in Wigan. Once a Grand Hotel and popular pub, it had faded from glory, becoming a ramshackle eye sore. 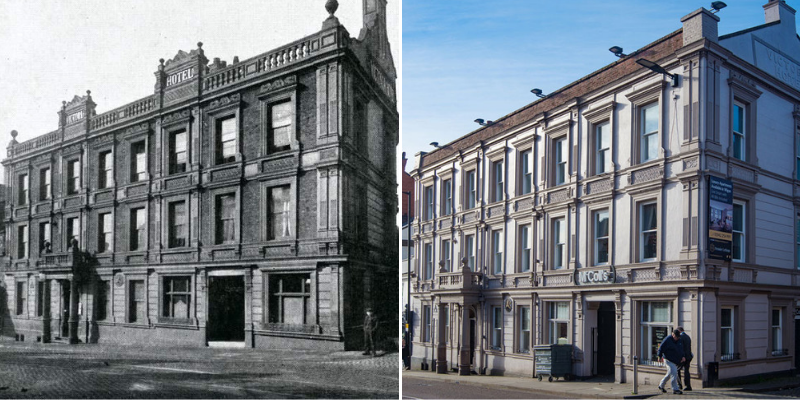 Located in the centre of Wigan, sandwiched between two train stations, it was the first building that visitors saw, affecting the look and impression of the town. We secured lottery funding and completed a beautiful renovation which has proved very popular with commercial and residential tenants. It also won recognition from the council for improving the look and feel of Wallgate. Renovations create unique homes with all the character and charm of a period property and the security of a ten-year structural warranty, brand-new electrics, plumbing windows, doors, kitchens, bathrooms and flooring – the best of both worlds! 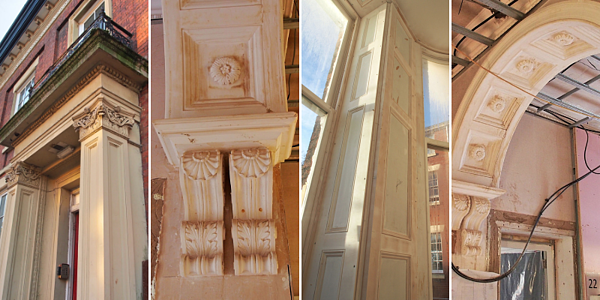 We are currently renovating two fantastic period buildings in the heart of Preston; the grade two listed Sorting Office (LINK) and Station Terrace (LINK). Both have distinctive character features that always prove popular with buyers and tenants. We have worked closely with the Heritage Officer at Preston Council to ensure that historical features are preserved and enhanced and to confirm that our choice of external windows and doors authentically match the style of the period. We are proud of preserving an important property with history and learning the local stories behind them. A renovation often engages the local community who are always pleased to see a building brought back to life, improving the look their street. We are particularly proud of a row of terraces in Manchester that we restored back in 2017. Previously they had been split into rooms and rented out cheaply. Without upkeep or maintenance works being regularly undertaken, they had quickly fallen into disrepair and stuck out amongst its immaculate neighbours. 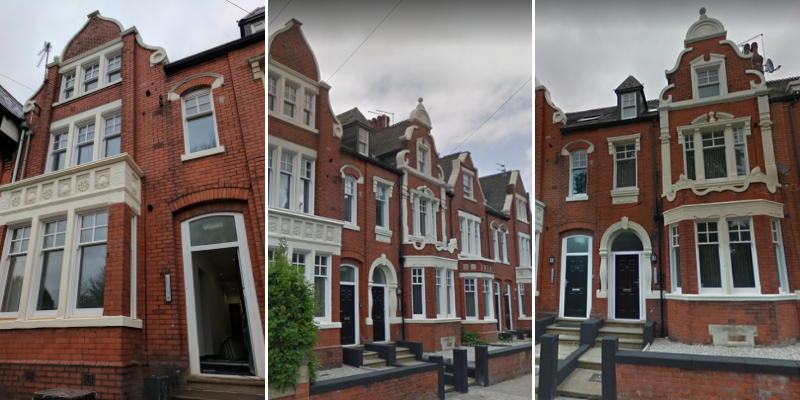 Over nine months our developments team had completely transformed the interior into high specification HMO studios, and importantly for the neighbours, worked with local heritage officers to restore the exteriors into four spotless terraces, enhancing and tying in with the street.